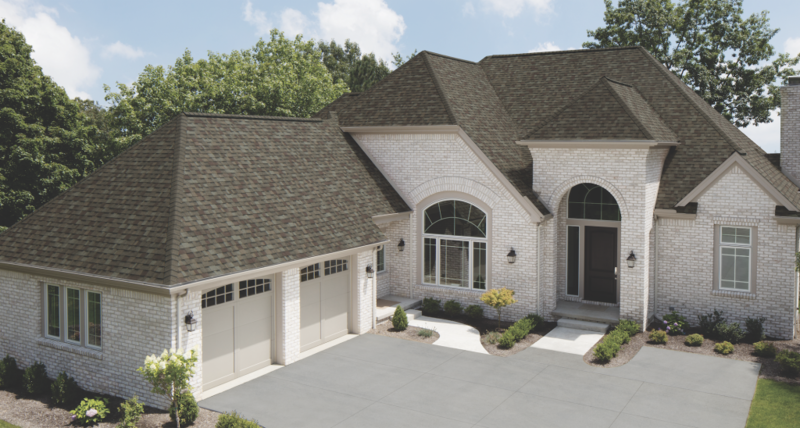 Owens Corning Roofing introduces TruDefinition Duration FLEX Shingles. Made with a proprietary blend of SBS polymer modified asphalt, Duration FLEX shingles are engineered to deliver pliability and increased flexibility compared to standard shingles, while offering advanced performance in harsh weather conditions. The shingles offer the highest impact rating available: UL 2218 Class 4. Featuring Sure NailTechnology, TruDefiniton Duration FLEX Shingles provide a high level of performance. For example, compared to standard shingles, Duration FLEXShingles offer 42 percent better nail pull-resistance against wind. In addition, built-in flexibility helps the shingles resist cracks and tears in all-weather installation conditions – offering more than 10 percent stronger tear strength compared to traditional shingles. Duration FLEX shingles are also manufactured for efficient installation and are formulated to lay flat more quickly than standard shingles for a clean, finished look. The rubber-like flexibility that helps the shingle withstand expansion and contraction stresses, also helps minimize loss of granules and protect the shingle against UV. Duration FLEX Shingles are available in seven colors. For more information, please visit https://www.owenscorning.com/roofing.